The Doctor: Well if I gambled on that, it’d be an abuse of my privilege as a traveller in time. Attempting to take Rose to see Ian Dury perform at Sheffield in 1979, The Tardis instead takes them to Scotland 1879. The Doctor and Rose accompany Queen Victoria and her guards to Torchwood House. The house has been taken over. The Doctor, Rose, Queen Victoria, Sir Robert Macliesh and his household are trapped by the local monks. The monks serve an alien werewolf who wants to infect Queen Victoria. The Doctor and Rose must stop the wolf from infecting Queen Victoria. If they fail, then the British Empire will become the Empire of The Wolf. David Tennant masterfully plays The Doctor in this episode. His Doctor is very much going from strength to strength in this series. His energy in this episode is extraordinary. The Doctor is in full control. David’s energy and ability bring the script alive. For instance, a memorable scene is when The Doctor sees the Werewolf escaping and he ambiguously utters “Oh you’re beautiful,” before promptly running off. Tennant works perfectly in the traditional Doctor Who setting of a place under siege. His joy at being in this dangerous situation shows Tennant relishing his role of The Doctor, in other words, allowing his inner child to live the dreams of his youth. As I have sprouted before in my New Earth review, David Tennant is a versatile actor who can play both The Doctor of authority and The Doctor of childhood. Pauline Collins is excellent as Queen Victoria. Her prim and proper rendition of Victoria fits well with the common version of her. However, we are offered the idea that there is more to the miserable monarch when she shoots the monk. Pauline is not a newbie to Who having appeared alongside Patrick Troughton’s Doctor in The Faceless Ones (1967). Her acting has improved and changed in the 39 years since she appeared in Who. Towards the end of the episode she banishes The Doctor and Rose from the British Empire forever as their magnetism towards danger starts to irk her. Slyly though, at the end of the episode she sets up something called “The Torchwood Institute.” Now, where have I heard that name before…? The graphics in this episode are astounding. 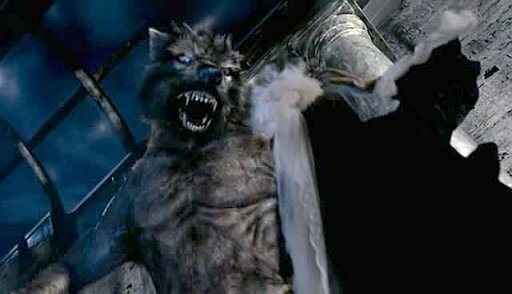 The werewolf is one of the best CGI creations to ever grace the series. The creature is stunning. It looks so real. If I saw that thing running down a street, I would suddenly become an Olympic style runner. I have to congratulate The Mill for making this incredible creature. The direction of this episode is fabulous. Director Euros Lyn is excellent. The ability to make a massive room look small and claustrophobic, as he does when The Doctor and Co are trapped in the library, is amazing. Tooth and Claw is like New Earth, one of the lesser known and even lesser still reviewed stories of New Who. Often people will go for obvious ones like The Stolen Earth/ Journey’s End. I think Tooth and Claw is more like Classic Who than New Who, not that it means it’s bad I mean it is less teenage than Moffat’s current version (which I am also very much enjoying.) and again that’s not a bad thing. Tooth and Claw is a gem.